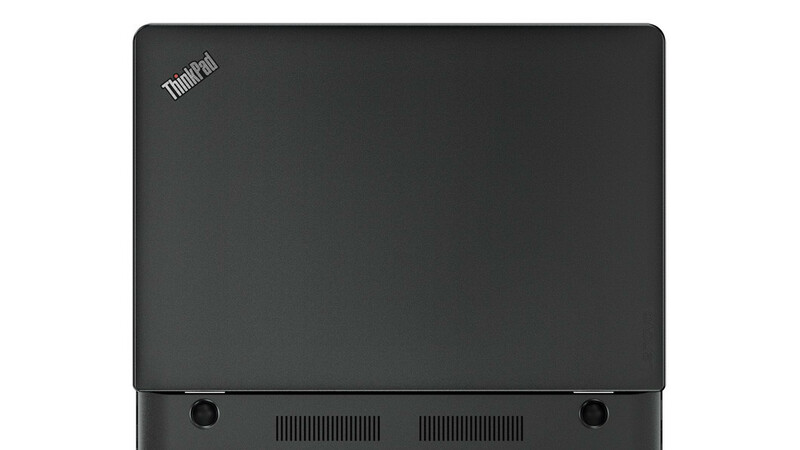 Series: Built for students, business people and also anyone with the demand of an affordable productivity laptop, “The first generation of the Lenovo ThinkPad 13 debuted in 2016 as an affordable 13-inch ultrabook with much of the traditional ThinkPad DNA, but without the traditional high price”, ComputerShopper stated. 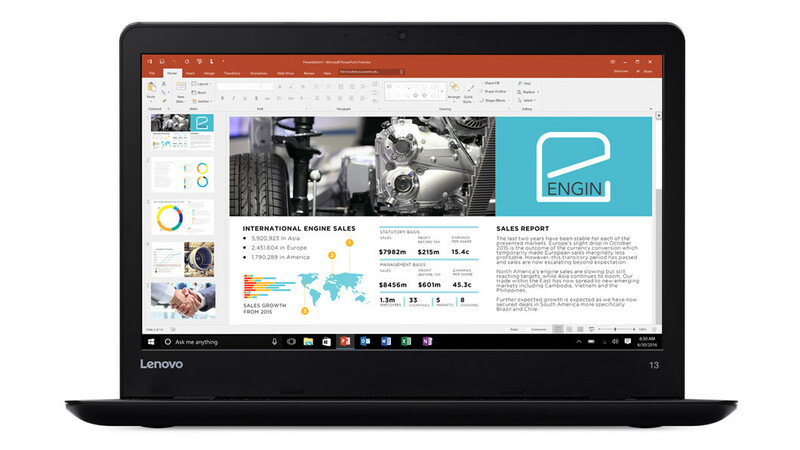 Lenovo released the 2nd generation of the ThinkPad 13 series in 2017. It is supposed to be better, and more powerful than its predecessor and should make most users somewhat satisfied. This version is upgraded to Intel Core CPUs of the 7th generation and brings new features like touch screen, backlit keyboard, and even the USB Type-C connectivity. This ultrabook is considered as a perfect everyday laptop for multi-purposes. 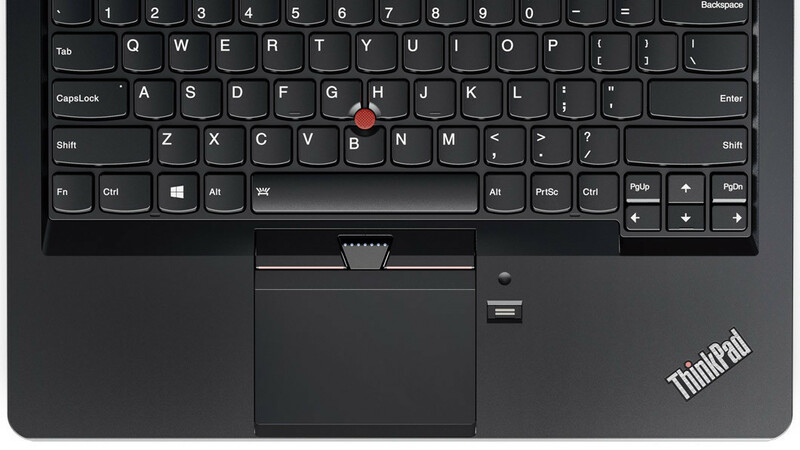 Talking about the Lenovo ThinkPad 13’s design, the ComputerShopper commented: “The ThinkPad 13 doesn’t stray much from the matte-black ThinkPad formula, unless you opt for the silver edition that sports a brushed-aluminum lid”. Also, page GottaBeMobile showed their mind that matte black plastic dominated the outer shell of the ThinkPad 13 2017: “Even still, it is as rugged as the other ThinkPad notebooks, even if it doesn’t feel cool to the touch or high-end. When closed, the lid has just ThinkPad logo and a status indicator that lets you know when it is sleeping”. Otherwise in either shade, regarding page LaptopMag, the ThinkPad 13 weighs a reasonable 3.17 pounds, which makes it light enough to carry anywhere and quite a bit more portable than 14-inch competitors like the ThinkPad T470 with 3.5 pounds. Similarly, “The ThinkPad 13 is reasonably thin (0.78 inch) and light (3.2 pounds) for a budget ultraportable”, said ComputerShopper. Yet, there is a problem discovered by this page that desirable options push the laptop into a price range where elite 2-pound, half-inch thick devices vie for your shopping attention. As a remark of page NotebookReview, not much has changed when it comes to the second generation of Lenovo ThinkPad 13’s design: The company is still playing it safe with a tone down clean professional aesthetic. “Built to satisfy both corporate IT departments and clumsy consumers, the ThinkPad 13 can pass 12 different MIL-SPEC durability tests, including those for extreme temperatures, shocks, vibration and sand blast” (LaptopMag). About the display, Lenovo offers two options for user to choose: 1,366 x 768 or 1,920 x 1,080 pixels. As reviewed from the ComputerShopper, stepping up to the optional 1080p panel nets us 10-finger-touch interaction, Full HD resolution, and IPS technology. And on LaptopMag’s test, the ThinkPad 13’s optional 1,920 x 1,080 touch screen delivered sharp images with colors that were accurate, but not overly rich. Besides, “With an average brightness of 307 cd/m², Lenovo ThinkPad 13 (2017) takes the third place, beside Asus Zenbook UX310UA (347 cd/m²) and Dell’s XPS 13 9360 (325 cd/m²)”, page NotebookCheck evaluated. Functionally speaking, NotebookReview supposed that the Lenovo ThinkPad 13’s display was more than satisfactory, but wasn’t exactly ideal for media consumption, and while the color accuracy is solid, saturation is a bit muted and the brightness is somewhat lackluster at 243 nits. Meanwhile, LaptopMag showed another perspective that if we were not watching a pitch-black scene, the display was more than bright enough and colors didn’t fade out, even at 90 degrees to the left or right: “Though most touch screens have glossy panels that reflect a lot of light, the ThinkPad 13’s panel is completely matte”. However, as an evaluation on page NotebookReview, the Lenovo ThinkPad 13’s screen should perform well enough under normal conditions, but we can’t expect perfect visibility outdoors on a sunny day. Commented about the sound of the ThinkPad 13 (2017), the reviewer on page ComputerShopper said: “The down-firing stereo speakers also do a credible job of delivering enough volume to share around a table, if the machine is placed on a solid surface”. In the same viewpoint, the reviewer from LaptopMag remarked positively that the ThinkPad 13’s dual, front-mounted speakers delivered surprisingly good audio output that was loud enough to fill a medium size room. Lastly, for NotebookCheck, “The sound could muffle audibly on soft surfaces. A hint of stereo can be perceived thanks to their positioning. Overall, the sound of both speakers is quite decent and much better than some older ThinkPads”. According to Computershopper, the full-size, island-style keyboard on the ThinkPad 13 is second to none in its price class: “The slightly cupped keytops make it easy to slide from one key to the next to hit your marks, and the pressure required to tap a key is spot on”. Particularly, with a deep 2 millimeters of travel and a 63 grams of the force, LaptopMag stated that the ThinkPad 13’s non-backlit keyboard had one of the snappiest, most tactile responses the reviewer had experienced. But because it’s thicker than some of the Lenovo’s other machines, as a review on page GottaBeMobile, there’s more travel for each key: It’s still comfortable but can sometimes feel a tad mushy in case we are not used to it. “The new touchpad is also pretty darn good. Granted, it’s on the small side compared to the pad on other laptops these days; that’s the trade-off required to accommodate the TrackPoint’s dedicated buttons. But the pad’s low-friction surface is very responsive” (quoted from ComputerShopper). Page NotebookReview also left a comment that the modest size touchpad felt great to use: The smooth frictionless travel, allowing for excellent control and precision. Moreover, this page added that by equipped ELAN drivers, the pad also offered top notch performances, as swipes, clicks, and multi-finger gestures all read flawlessly. And the 2.1 x 3.5 inch, button-less touchpad, following a remark of LaptopMag, was also extremely accurate: “Using Microsoft’s Precision Touchpad driver, the pad handled with Window 10 gestures such as pinch-to-zoom, three finger swipe and four finger tap flawlessly”. On the contrary, the reviewer from page GottaBeMobile said that the touchpad and Trackpoint are as solid as they usually are in other ThinkPads: “I did find myself adjusting the sensitivity of the trackpad. Its default setting didn’t feel that responsive to me”. Similar to the display, there are two options of the CPU for users to choose depending on their purposes: the Intel Core i3-7100U or the Intel Core i5-7200U/7300U. Base memory is 4 GB of DDR4 RAM, upgradable to 8 GB or 16 GB. The one and only graphics option is the Intel HD Graphics 620 silicon that is integrated into the Kaby Lake Core-i CPUs (ComputerShopper described the Lenovo ThinkPad 13’s main features). “With its Core i3-7100U, 4GB of RAM and 128GB SSD, our review configuration of the ThinkPad 13 offered just enough performance for basic multitasking and productivity tasks. When I had over a dozen tabs open in Chrome and was typing this review in Google Docs, I didn’t notice any lag at all”, remarked by LaptopMag. NotebookCheck comments that Lenovo ThinkPad 13 (2017) is a pure office device, and consequently the performance of the integrated Intel HD Graphics 620 graphics unit is only enough to render older games, such as “BioShock”, in minimum settings smoothly. Nevertheless, NotebookReview advised users who want more competitive specs to consider scaling up the Intel Core i5 model with 8 GB of DDR4: “The augmented model will result in a nice boost to over performance and it hits a pretty nice sweet spot between performance and price at around $1000”. Discussing the battery issues, the ComputerShopper gave their opinion that the ThinkPad 13 lasted for 12 hours and 11 minutes on looping a video - a locally stored MP4 file containing the full The Lord of the Rings trilogy - with screen brightness set at 50 percent and volume at 100 percent until the system conks out. LaptopMag also recorded that the ThinkPad 13 lasted a strong 9 hours and 8 minutes on the LaptopMag Battery Test, which involves continuous surfing over Wi-Fi. This page evaluated: “That time is well above the ultraportable average of 8:14 and the Asus Pro B9440’s mark of 8:26”. “To test battery life, we use Futuremark’s PowerMark benchmark in balance mode. The test consists of a combination of automated web browsing, word processing, gaming and video playback workloads” (NotebookReview’s statement). As a consequence, the Lenovo ThinkPad 13 ran for 6 hours and 5 minutes before shutting off. That means users should be able to expect close to a full day charge with the Lenovo ThinkPad 13, with the battery lasting well over eight hours. In summary, “Thanks to its durable, lightweight design, snappy keyboard and plethora of ports, Lenovo’s ThinkPad 13 is good for business, college students or anyone who wants a productivity machine that costs around $1000 or less” (LaptopMag). With this ultrabook, I suppose that Lenovo made a good laptop aiming to a specific segment with the extremely reasonable price along with the decent features. Even though there are some minor flaws, such as: its display is a bit dim, or the backlit keyboard should be standard option, this notebook still has outstanding details which could make users pleased, like the over 12 hours of battery life, good keyboard, the lightweight, or even an affordable productivity powerhouse. 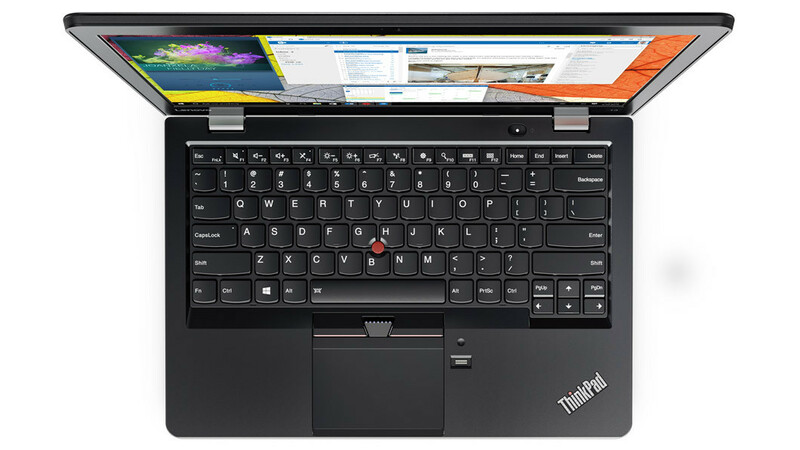 As the final verdict for this laptop, page ComputerShopper concluded: “With its ThinkPad keyboard, rugged shell, and excellent touchpad, the ThinkPad 13 could be an attractive choice for students and small business buyers in stepper-up configurations, as well”.